hello, it is a bit tricky to see the difference between pillars, bubbles, bow shocks .. could you define it a bit more? and then: could all red starlike objects be galaxies? Sometimes pillars look very bubbly and bubbles look like they’re made of pillar, so yes it’s tricky. If it’s round with a defined edge then go for bubble and it it has pillar-like structures around it, you can mark those too. 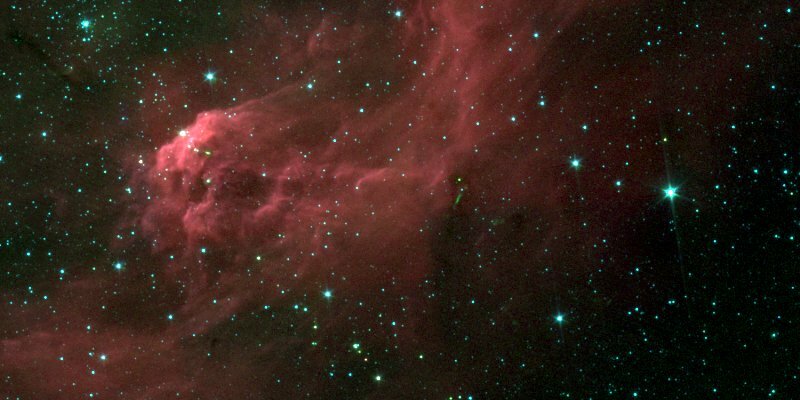 No, not all red, starlike objects are galaxies. Some are simply stars or protostars. Galaxies and bow shocks are quite rare in these images so you should expect to see them very often. Galaxies are usually very red and mostly seen in voids (gaps) in the dust. Bow shocks are small to medium-size arcs and usually have stars at their tip, pushing into the dust around them. As per the project description, these are INFRARED images taken by Spitzer ST. And one of the object types that we are looking for is EGO / Strange “Green” objects near young stars. But since we are anyways extrapolating from Infrared to Visible, why do we think their color is so significant?